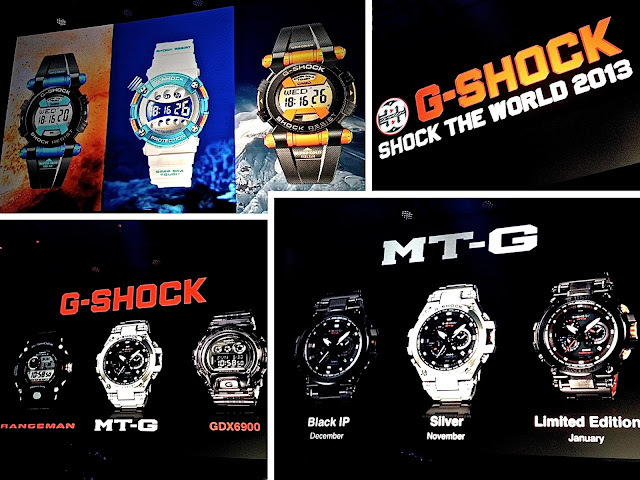 On Wednesday, August 7, 2013, Casio G-SHOCK celebrated their 30th anniversary with a press conference featuring special guests James Marsden, Jessica Stam and Brook Lopez, where three exclusive timepieces were presented: MTG, Rangeman and GDX6900. It's hard not to have a good time when its a night out with G-SHOCK! Looking through the collection of watches from their past to their present was a true learning experience. Seeing how far they've come and how they continue to push themselves to be better to continue to retain their customer while enticing new ones. After the press conference we were able to enjoy delicious cocktails and tasty bites as we waited for the highly anticipated evening festivities. As showtime was approaching I made my way to the stage, securing a front row spot! Yelawolf performed as the opening act and got the crowd moving. 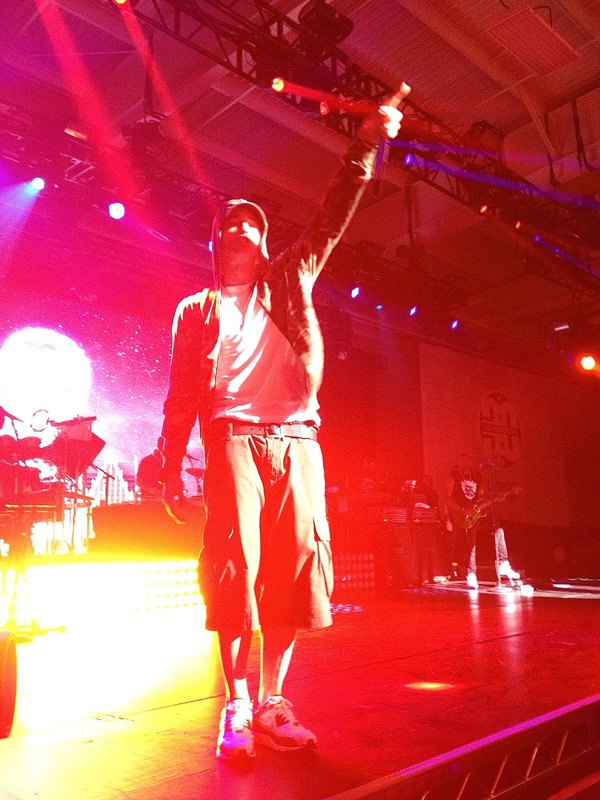 The night commenced with an hour long show stopping performance by Eminem - featuring hits like "Criminal", "Lose Yourself", "Wont Back Down", "Cleaning Out My Closet" and "Love The Way You Lie"! I'll have video coverage posted soon! Hope you enjoy my pictures from the night! 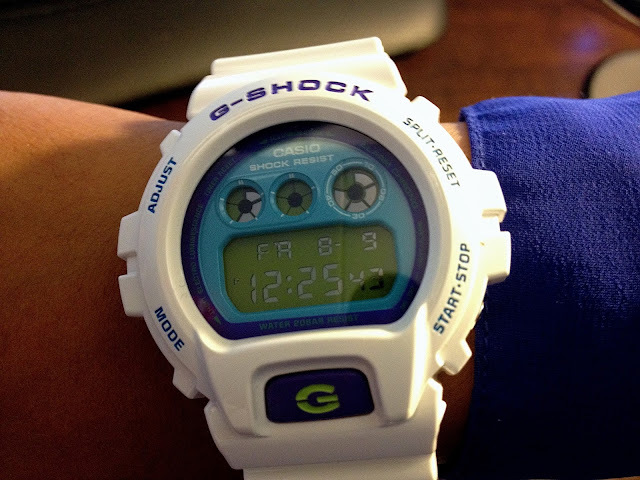 The first timepiece introduced was a Shock completely revamped G-SHOCK classic: the iconic 6900. Making this favorite almost 10% larger in size, the GDX6900 is mega and packed with G-SHOCK's latest performance technologies; backed by spokesperson Brook Lopez. Expanding on their revolutionary Master of G collection, G-SHOCK introduced the Rangeman: a military inspired timepiece for first response professionals to truly master all natural elements. Baby-G stepped up its style with the chicest designs to date. Introduced by supermodel Jessica Stam, the fashionable BA110, BA111 and BA112 timepieces come in nine colorways and boast a layered 3D metallic face. Other announcements included the launch of the new 2nd Generation Bluetooth model, lightening yellow models, G-Aviation model and many more. The pinnacle of the event came as the highly anticipated new luxury timepieces from G-SHOCK were announced: the metal twisted MT-G Collection. This game changer will reposition the G-SHOCK brand into a more premium space for the affluent consumer -- the MT-G, Metal Twisted G-SHOCK collection is a completely new timepiece crafted at Casio's advanced factory in Yamagata, Japan, for select premium styles. The MT-G is the epitome of modern wrist couture. Now I'm off to the stage…VIP pass in hand! 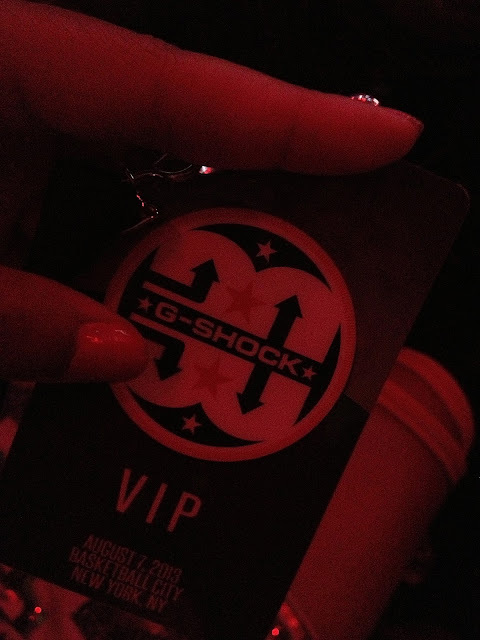 Thanks G-SHOCK for an amazing watch & night!